Data Center Fire Protection! A New Webinar Series for this Fall! After a successful webinar series this summer, ORR Protection is hosting a fall series that will discuss Data Center Fire Protection. 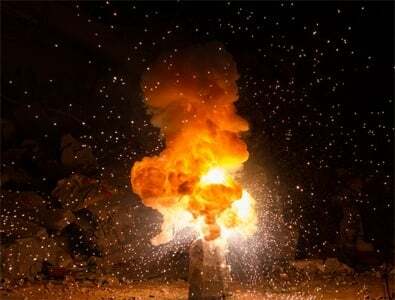 This subject is of interest to many; data center fires are common and endanger computer systems, telecommunications, and storage systems. Fire Protection expert Lee Kaiser, P.E. will once again take the lead as primary presenter in this webinar series. Lee is no stranger to Fire Protection; he has over 15 years of engineering experience and travels across the country providing educational sessions during ORR Protection's Seminar Series. The first webinar this fall will help you develop a data center fire protection strategy. Planning ahead with a well thought out strategy will ensure all potential weaknesses are accounted for. If you are planning your protection strategy or need to revamp your current data center security, this webinar is for you. This hour-long session will identify fire dangers in the data center, protection approaches, and how to establish a fire risk program. You will also learn how to communicate with the local fire department to ensure you have the proper response in the event of an incident. This second webinar will focus on how to detect smoke and meet all code requirements. 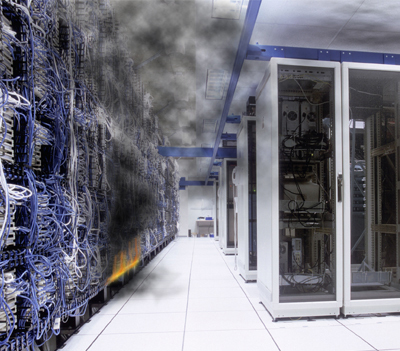 Data centers need high airflow to allow the electrical equipment to cool, and detecting smoke under these circumstances can be a difficult task. Lee will identify these challenges, what technologies are best for detecting smoke in these areas, and where detectors should be placed. We will also cover current and new code requirements to ensure you know whether your location is up to date. To wrap up this series, the third and final webinar will cover suppression to eliminate threats if they do occur. Suppression strategies within data centers are unique; certain technologies are more appropriate than others to minimize damage. During the presentation, Lee will examine recent incidents, look at strategies that work, and go more in depth on protecting modular data centers. He will also identify key technologies and how they can be utilized to protect your location. If any of these webinar topics pique your interest, sign up for one or all three by clicking the banner below. These will each last about an hour and are a great way to engage with the Fire Protection community. We are looking forward to having you join us and encourage you to share with any colleagues who may be interested in learning more about these topics.